Golden lady justice, Bruges,Belgium. Flickr/Emmanuel Huybrechts. Some rights reserved.A few weeks after the Paris attacks on Charlie Hebdo and the kosher supermarket, over-reliance on intelligence and intelligence-led policing has been, once again, debated at the EU level. Yesterday, the European Parliament’s Civil Liberties, Justice and Home Affairs (LIBE) committee presented a report on the National security and secret evidence in legislation and before the courts[M1] . This report examines the way in which justice systems across a selection of EU Member States (the United Kingdom, France, Germany, Spain, Italy, the Netherlands and Sweden) use and rely on intelligence information that is kept secret and not disclosed to the defendants and judicial authorities in the name of national security. There are a number of key European legal standards on the issues of intelligence information, national security and state secrets when these affect the rights of the defence. The rights of the defence and a fair trial are enshrined in the EU Charter of Fundamental Rights (Title VI on Justice), which now has the same values as the EU Treaties and therefore constitutes a key constitutional foundation-stone of the EU's Area of Freedom, Security and Justice. A key issue is ensuring effective judicial review as interpreted both by the Court of Justice in Luxembourg and the European Court of Human Rights. This in particular includes the right to be heard and the right to have access to the file and reasons. While EU member states’ authorities enjoy a wide margin of appreciation at times when ‘national security’ is at stake, these must still be subject to effective supervision by domestic courts and judicial scrutiny by European Courts. The report found that, in the majority of member states under investigation, the judiciary is significantly hindered in effectively adjudicating justice and guaranteeing the rights of the defence in ‘national security’ cases. This challenge raises the need for a new European Agenda on Security and Liberty based on an EU security (criminal justice-led) cooperation model firmly anchored in current EU legal principles and rule of law standards. Indeed, the result of the Lisbon Treaty and the end of the Transitional Arrangements in Protocol 36 have fundamentally changed the EU configurations on what it is possible for EU Member States to do in these areas. The EU has now a clear competence to legislate in judicial cooperation in criminal matters, with the European Parliament acting as co-legislator. The UK is a particularly enlightening case study, as it constitutes an ‘exception’ in the broader EU landscape due to the existence of the much-contested ‘Closed Material Procedures’ (CMPs) - secret court hearings where only the judge and security-cleared special advocates are given access to sensitive intelligence material. In comparison, none of the other EUMS under investigation have gone as far as the UK in the use of secret evidence in trials. At the forefront of intelligence-led policing and preventive law enforcement, successive UK governments have proactively submitted bills, such as the Special Immigration Appeal Commission Act (1997), the Prevention of Terrorism Act (2005), the Counter Terrorism Act (2008), the Terrorism Prevention and Investigation Measures Act (2011) and the Justice and Security Act (JSA, 2013) that have triggered intense controversy and heated debate, as reported in openDemocracy columns. The specific procedures these bills have introduced (CMPs in particular) are only applicable in civil cases. The real vice of CMPs, and the various terrorism regimes they apply to, is that they deal with terrorism as a ‘civil’ issue, allowing for draconian orders without any of the protections of the criminal process. CMPs extend the use of “special advocates” to any civil case. Special advocates are security-vetted lawyers who are permitted to participate in CMPs and represent claimants. They are not allowed to provide any material to the people they represent (who are not strictly their ‘clients’ as they cannot instruct them on how to act). They are given the ‘gist’ (provided by the Government) of intelligence material used in secret hearings. The intended significance of having special advocates to rebalance the rights of the accused has been criticised by some scholars, who argued that the inability to consult with the affected party hinders the course of justice. CMP opponents (such as civil liberties and human rights representatives, special advocates themselves) have argued that secret justice is not compatible with a fair trial. The House of Lords has also heavily criticised the serious limitations on the ability of special advocates to challenge the government’s use of closed materials. The use of information and materials provided by intelligence communities, which are kept secret and not disclosed to the defendants in the name of national security, sparks debate in terms of respect for fair trials, equality of arms and fundamental rights. It also poses important questions linked to the changing practices of the intelligence communities and the extent to which materials provided by these services in courts is properly and cautiously scrutinised by judicial authorities. For its supporters, CMPs provide a solution to the challenges posed by the increasing number of civil court proceedings in which sensitive information is relevant. In a green paper presented to the UK Parliament in October 2011, the then Secretary of State for Justice, Ken Clarke, argued that the very nature of intelligence information makes its disclosure in an open courtroom impossible, as this disclosure would endanger national security and/or breach international cooperation and agreements in the field of intelligence sharing. 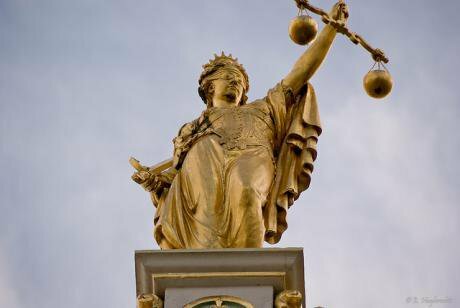 The UK security services argued in favour of the Justice and Security Act (JSA), claiming that it would make it possible to bring to justice cases that had previously been denied in order to protect sensitive information. Another argument put forward by intelligence officials has been that such procedures would improve the accountability of the intelligence communities. Despite these official statements, the report highlights that the use of CMPs in the UK not only jeopardises the defendant’s rights, but also does not lead to more accountability from the security agencies. While the protection of the ‘national security’ argument remains questionable (as detailed hereafter), the use of secrecy in courtrooms certainly endangers judicial and democratic scrutiny. Indeed, the concept of ‘national security’ seems to be either absent from, or very loosely defined by, EUMS' national legal systems under investigation. There is no commonly held legal definition in any of the countries under examination that meets the legal certainty. This conceptual fuzziness itself leads to accountability deficits on the part of the executive and intelligence communities and leaves open wide room for manoeuvre by the executive. The 2010 Binyam Mohammed v. FCO case is quite enlightening in this regard. Former Guantanamo Bay detainee Binyam Mohammed sued the UK government, alleging the UK’s complicity in his detention, rendition and mistreatment by foreign authorities. British authorities were forced to disclose documents, which showed the UK’s knowledge of Mr Mohammed’s mistreatment and were forced to pay compensation. It can be argued that Binyam Mohammed would have been denied redress if the JSA had been in force in 2010. It is likely that the disclosures made in that case about the activities of the Intelligence Services and the treatment and rendition of B.Mohammed would not have been made if the CMP procedure had applied. This case also sheds an interesting light on the current legal battles raging around Abdul Hakim Belhaj’s claims against the UK government. Belhaj is a Libyan politician and a former Qaddafi opponent who claims the UK government was involved in his and his pregnant wife’s illegal rendition, torture and mistreatment. In particular, he claims British intelligence tipped off the Libyan authorities and helped the US arrange his rendition to Libya. Belhaj is currently suing the Home Office, the Foreign Office, MI5, MI6, former Foreign Secretary Jack Straw, former MI6 agent Mark Allen and the Attorney General for their alleged role in his 2004 rendition. In December 2013 a High Court judge ruled that this claim was beyond the jurisdiction of the UK courts. The UK government argued that Belhaj’s case cannot be heard at all on the grounds that the “act of State” doctrine means that UK Courts are precluded from judging the actions of foreign states in their own country. In February 2014, the claimants were given permission to appeal the ruling on the act of State doctrine and the UK government cross-appealed contesting that, in addition to the act of State doctrine, state immunity also precluded the claims from being heard. In October 2014, the Court of Appeal ruled that Belhaj could sue the government, stating that the allegations in this case were a grave violence of human rights and that state immunity could not be applied. As underlined by an Amnesty International Report on CMPs, referring to the Belhaj case, if these cases are heard using a closed material procedure, there is “genuine concern that evidence concerning human rights violations could be withheld from the individuals, their lawyers and the wider public, potentially shrouding these cases in a cloak of secrecy that might never be fully lifted”. Therefore, the argument according to which CMPs would allow for more accountability is far from convincing. The practices of intelligence services have been challenged and contested in the past on legitimate grounds. The Snowden revelations have unveiled further alleged unlawful practices carried out by law enforcement agencies in the UK and across the EUMS. Intelligence service digital surveillance information used in courts thus represents a significant challenge to judicial scrutiny. This issue is even more important given the fact that CMP processes have specific statutory exceptions permitting intercept material to be presented in courts. In the JSA Explanatory Notes, courts are explicitly asked to ignore the exclusion of intercept material set out in RIPA, meaning that intercept evidence can be used to support an application for a declaration. The Chilcot review on the use of intercept as evidence published in December 2014, while acknowledging the exceptions provided by CMPs, concluded that it is not possible to find an intercept as evidence model that is consistent with the legal requirements of fairness at trial. The use of intelligence materials obtained through digital surveillance is highly problematic, as the debate over the lawfulness of data collection activities is still not settled. Even if the parliament’s intelligence and security committee (ISC) cleared intelligence of breaking existing surveillance rules and invading privacy in its March Report, its conclusions, as well as its independence and effective powers to challenge security agencies, are still heavily debated. In light of this, how can we consider a trial based on secret evidence ‘fair’ if we cannot be sure that evidence was fairly collected (i.e. in a manner that respects the law and fundamental rights)? Furthermore, one of the issues the report raises concerning the use of CMPs and the national security argument relates to the pivotal role played by investigative journalism and whistle-blowers in disclosing matters of public interest and concern. The freedom of the press and the protection of whistle-blowers are often compromised and too often jeopardised when national security arguments are invoked. Recent debates in the UK have revolved around an attempt by the Crown Prosecution Service to hold a terrorism trial entirely in secret in the case referred to as The Crown v. AB and CD. The initial request for a secret trial would have prevented anyone from knowing even the identity of the people accused. Following a legal challenge by The Guardian and other media, the request was overturned in June 2014 by the Court of Appeal. The compromise reached in this ruling includes the accreditation of a few journalists, who will be permitted to attend the “bulk” of the trial but will not be able to report on the proceedings until there have been further legal arguments. This compromise has triggered further debates over restrictions on the principle of open justice. Debates in the UK are still ongoing over how to accommodate in camera trials with access for journalists. In the context of the debates around the JSA, the UK Human Rights Joint Committee took evidence from an investigative journalist at The Guardian, Ian Cobain, who has reported widely in recent years on matters such as complicity in torture and extraordinary rendition. Referring to the Al Rawi and Binyam Mohamed cases, Cobain told the committee that material disclosed in legal proceedings has been “vitally important” as a source of information to journalists. He said that journalists like himself were “heavily reliant on documents that have been disclosed in court”, which were often crucial either to corroborate allegations of wrongdoing which had been heard elsewhere, or to contradict assurances or denials. Cobain argued that the use of CMPs as implemented by the JSA would prevent similar disclosure of evidence and documentation that has enabled journalists to build up a true picture of the government’s involvement in certain actions since 9/11, such as those demonstrated in the Al Rawi and Binyam Mohamed cases. The prospect of “a small number” of journalists being officially selected to attend secret sessions in a terrorism trial, and the restrictions that would be applied, has raised fresh concerns about media freedom. A related issue concerns the protection of journalists’ sources when challenged by national security concerns. The Miranda Case is here emblematic. In February 2014, three High Court judges dismissed a challenge that David Miranda, the partner of the former Guardian journalist Glenn Greenwald (one of the key reporters behind the first Edward Snowden leaks), was unlawfully detained under counterterrorism powers for nine hours at Heathrow in August 2013. Miranda was carrying encrypted data derived from material received from Snowden. UK authorities took his mobile phone, laptop and memory cards. Miranda argued that the use of Schedule 7, which enables authorities to stop and question individuals at airports, ports and international train stations, was disproportionate, as he was engaged not in terrorism but “responsible journalism” in the public interest. In their ruling, the judges accepted that Miranda’s detention and the seizure of computer material comprised “an indirect interference with press freedom”, but said this was justified by legitimate and “very pressing” interests of national security. In May 2014, Miranda was granted permission to appeal against this ruling. The Miranda case is a direct consequence of Snowden’s leaks. As such, Snowden’s revelations have prompted worldwide scrutiny over the balance between security and disclosure of matters of public concern. This of course raises the question of whistleblowers and their protection, in which the understanding of what constitutes the ‘public interest’ is ambiguous. Restrictions to the freedom of the press and to the protection of whistle-blowers clearly hamper public awareness as regards the functioning of their institutions. The report underlines that the judicial authorities too often presume the quality of the information provided by the intelligence services. In other words, the courts rely on and ‘validate’ intelligence information based on a presumption of good faith. In 2007, the Venice Commission stated in its Report on the Democratic Oversight of the Security Services: “Where the parliament is not in a position to hold the executive accountable, it becomes even more important that the national courts are able to perform this function effectively. But, for a variety of reasons the ordinary courts are often in a poor position to perform adequately this task in the area of national security. Unlike other government authorizations to limit human rights, powers granted to governments in this area are often wholly discretionary”. All the EUMS under examination have mechanisms of judicial oversight of the materials presented to courts, but most of them are limited. Effective judicial scrutiny of the quality of information provided by intelligence communities is further undermined when presented in CMPs or relayed in judicial proceedings as second-hand evidence or as an intelligence report. In these cases, the quality and reliability of the information are even more difficult to assess. Consequently, the use of intelligence materials in courts appears to be particularly worrying, since no real scrutiny and no effective review of the procedures used to collect such evidence is provided before it is ‘packaged’ for the judge’s perusal. In the UK, the existing system of special advocates is limited to ensuring proper scrutiny of the closed materials presented to courts. Among the deficiencies of the special advocates is the lack of formal rules for evidence, allowing second - or third-hand hearsay or even more remote evidence to be admitted, frequently with the primary source unattributed and unidentifiable. Important debates can be foreseen at the EU level over these questions, as the need for specific procedures governing confidential evidence becomes increasingly critical. Indeed, most EUMS systems analysed in the report fail to pass the “in accordance with the law” test developed by the ECtHR and the CJEU as one of the most important legal standards when evaluating the lawfulness of government interference with fundamental rights in the name of national security. Nevertheless, since December 2014 the Commission and the Court of Justice have full enforcement powers on EU Member States in these areas. A key contribution of the 'Lisbonisation' of the judicial cooperation in criminal matters is the European Investigation Order (EIO), which for the first time in an instrument driven by the principle of mutual recognition of criminal justice decisions includes a number of safeguards/standards for the exchange of evidence between EU Member States authorities in the area of criminal justice: these include the introduction of a proportionality test and a specific ground for refusal to execute on fundamental rights grounds. The EIO provides a set of supranational standards in the field of cross-border exchange of evidence which must be guaranteed irrespective of national security and states secrets. Therefore, the report concludes that the European Parliament should call on the European Commission to carefully report the current situation and not to shy away from using the new early warning tool for systemic threats to the rule of law established in March 2014 to prevent the practices highlighted in the report from threatening the Union’s values and legal principles. Undoubtedly, the CMPs as implemented in the UK would, in that case, be scrutinised by EU courts. The ECtHR has repeatedly called for domestic laws to afford sufficient legal protection, with sufficient clarity, to prevent the executive from acting arbitrarily and with unfettered powers. In 2009, in A and Others v. UK, the ECtHR already raised concerns about the practical challenges faced by special advocates in usefully fulfilling their function and set a number of conditions for UK practices to be ECHR-compliant, in particular that “non-disclosure” cannot deny a party knowledge of the very essence of the allegations against her/him. The authors would like to thank Dan Squires (Matrix Chamber), who gave his comments on this article.